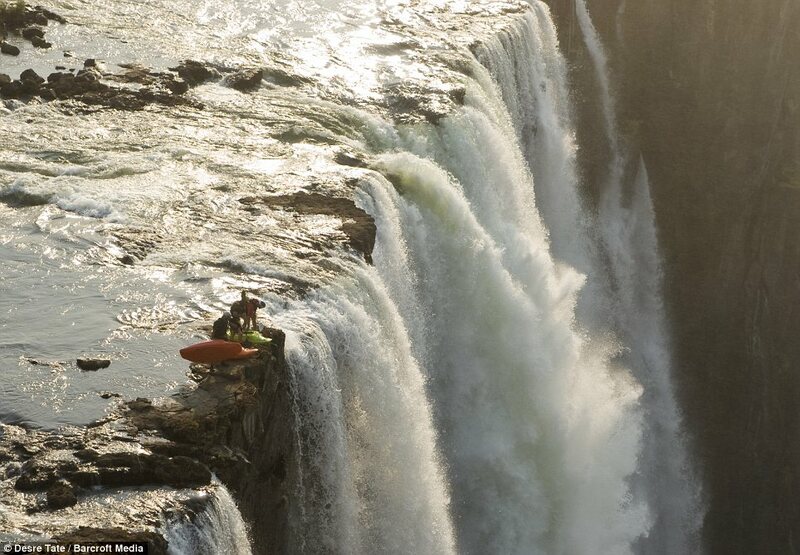 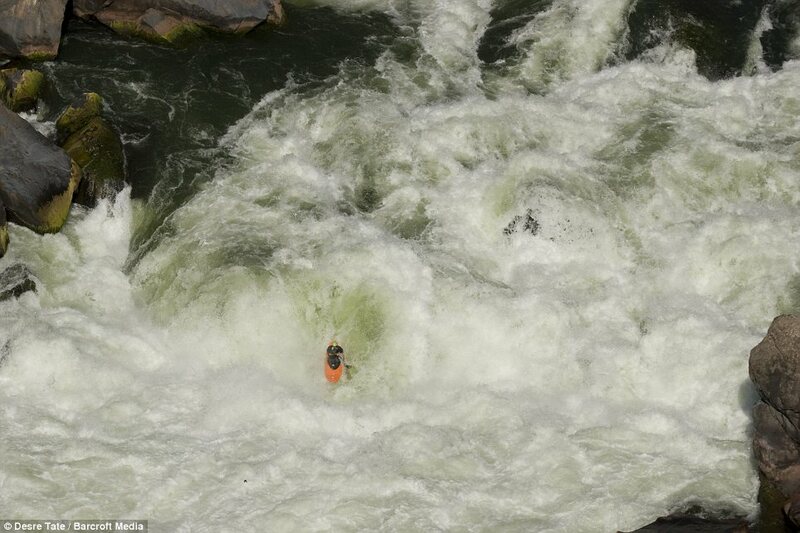 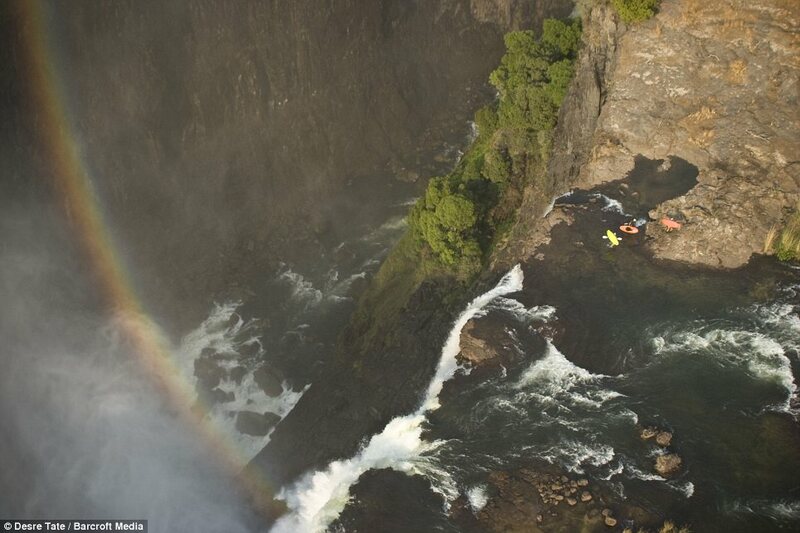 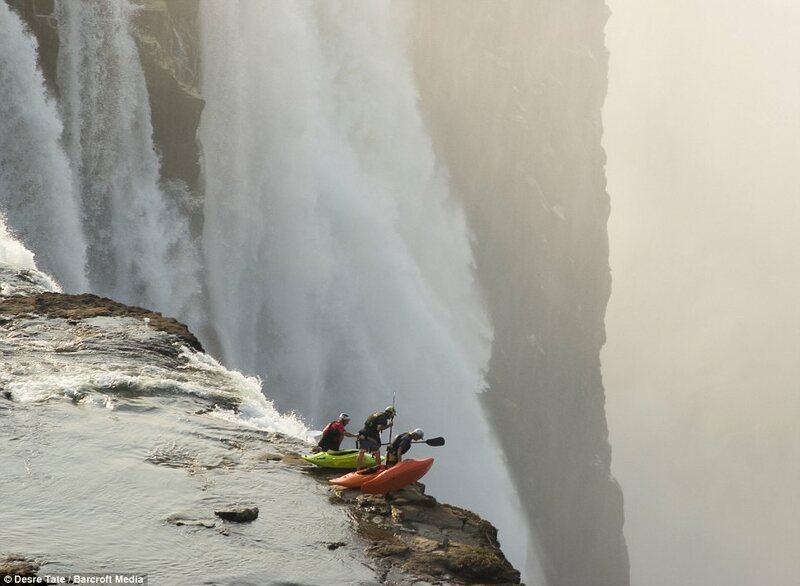 These daredevil kayakers must be real water-fools - as they stand peering straight down a 350ft drop. 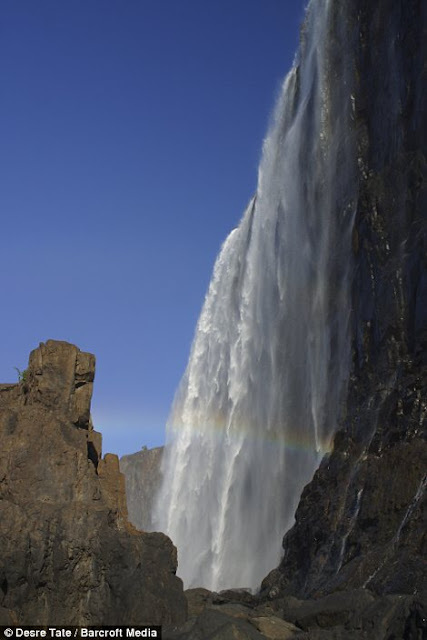 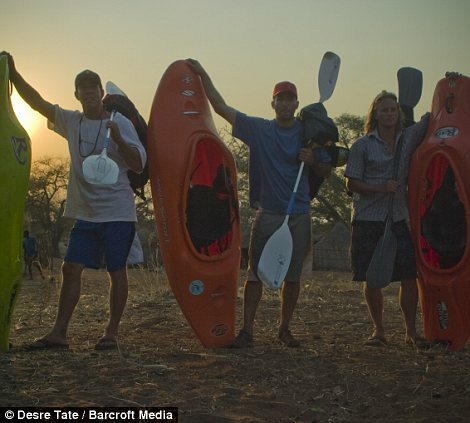 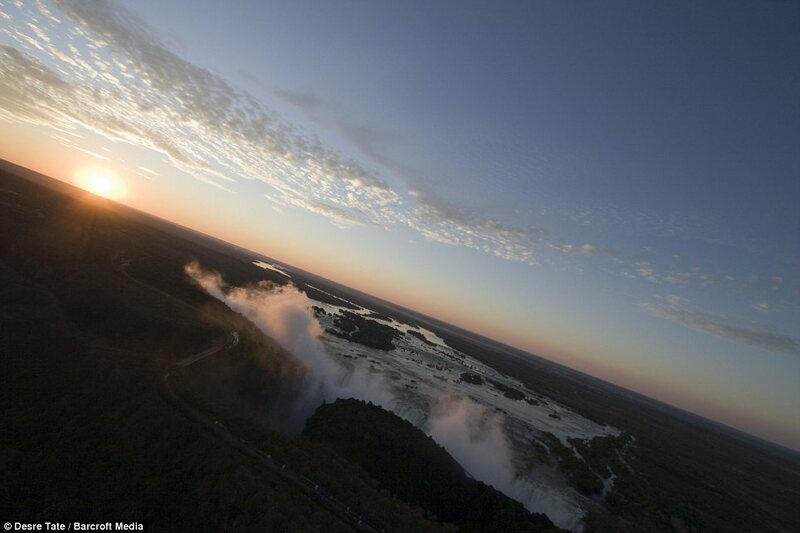 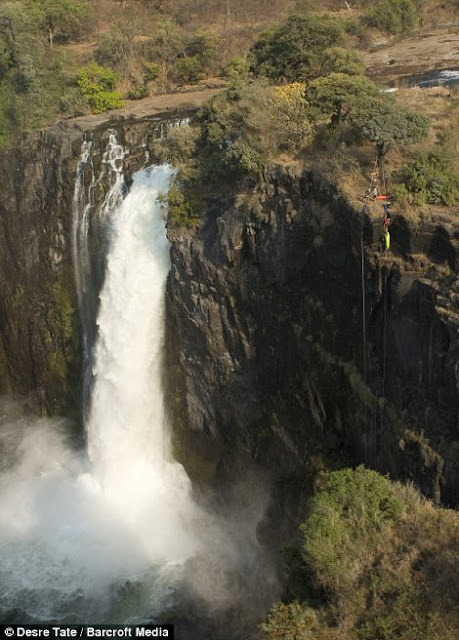 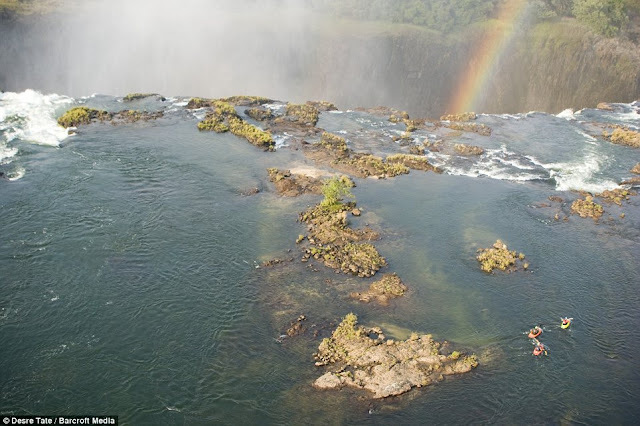 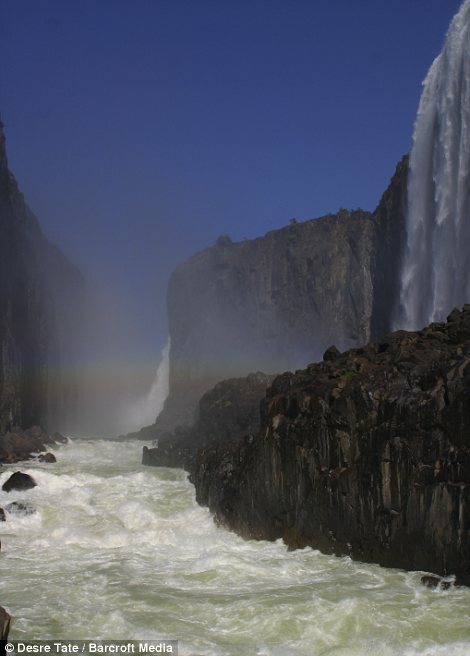 Adventurers Steve Fisher, 37, Dale Jardine, 33, both from South Africa, and Sam Drevo, 33, from the U.S., paddled up to the lip of the mile-wide Victoria Falls - the largest waterfall in the world. 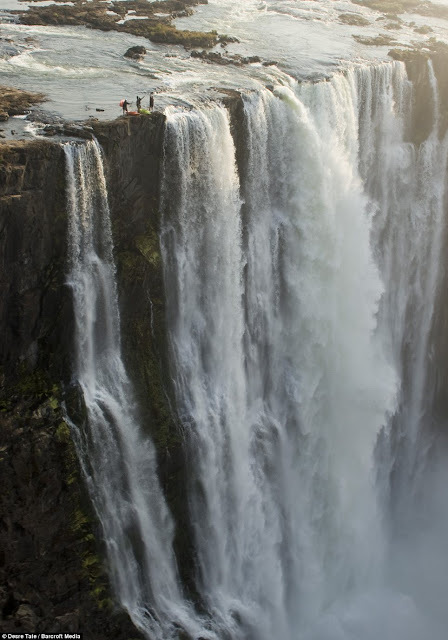 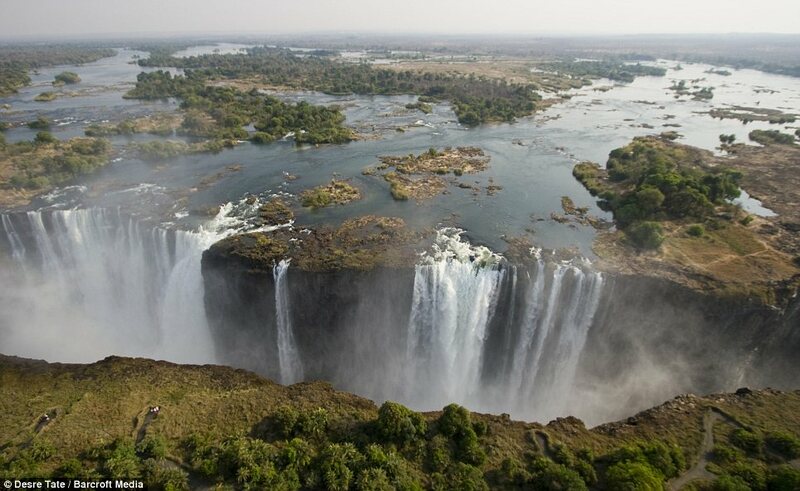 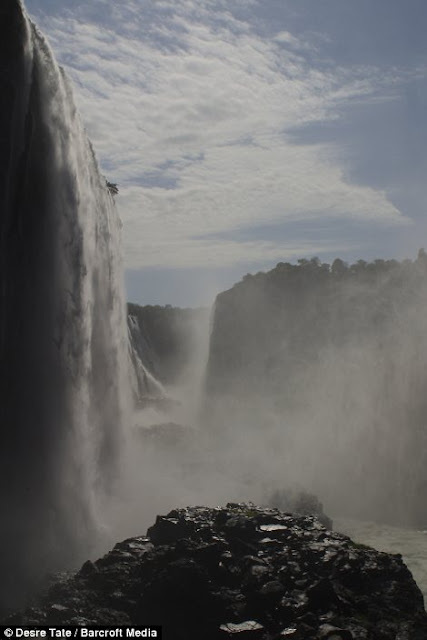 Standing on one of the islands that appear during the dry season, they were able to look over the edge of the massive torrent of water, which flows between the African nations of Zambia and Zimbabwe.